I've heard a few stories about these guys, and they seem pretty interesting. Ah, but then i looked at the picture a little too long, realized how GIGANTIC that thing is! I feel like there are bugs crawling on me now! 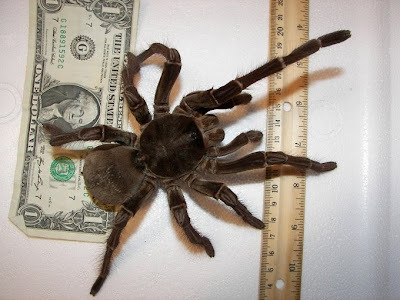 "We did see a lot of tarantulas, but nothing this big, unfortunately :(" WHAT??? I spend my time trying not to find such things!! I've gotten chased by water bugs before but never spiders. Oy vay bugs give me the heebie jeebies. eeep!! hugge spider!! 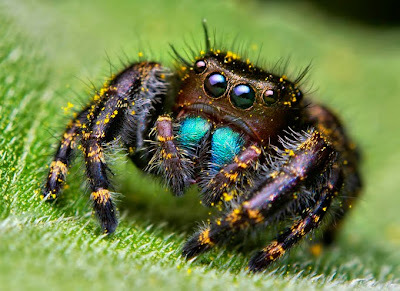 tarantulassss are scary :o awsome picture tho. Okay, I'll admit the pictures are cool but my instant reaction was "EWWWW GOOOOSSSSS!! RUN AWAY!!!" i just shat myself over the size of that tarantula.